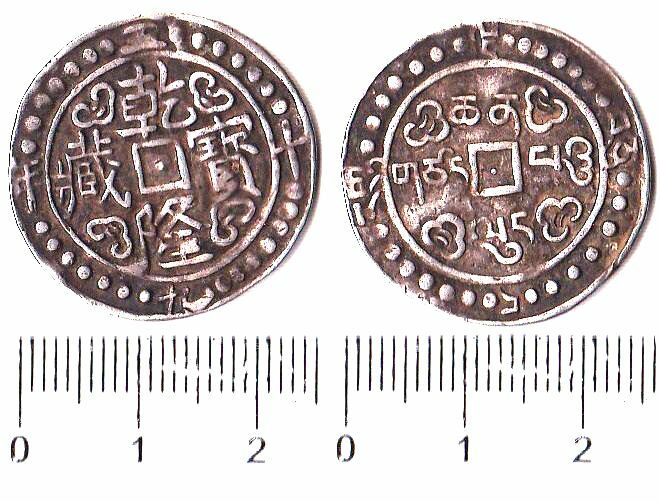 XZ001, Tibet "Chien-Lung Tsang-Pao", 1 Sho Silver Coin, 1795 Rare! 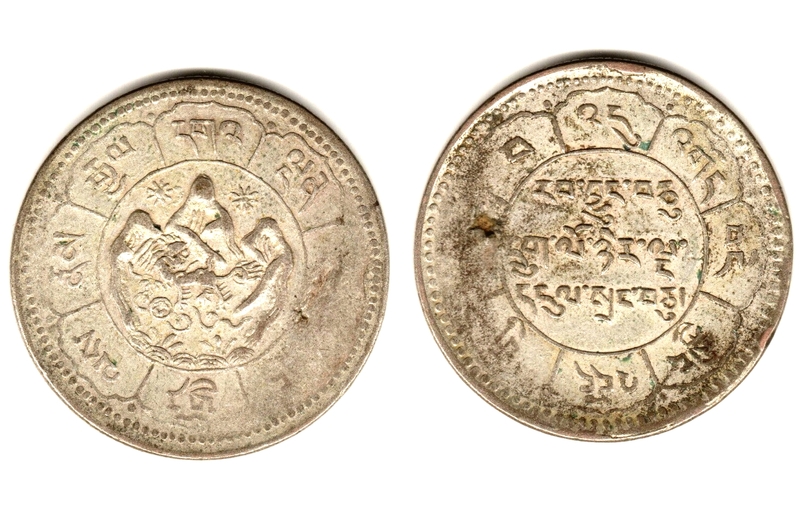 XZ041, Tibet New Ga-Den Tangka Silver Coin (1953), Struck. VF condition. 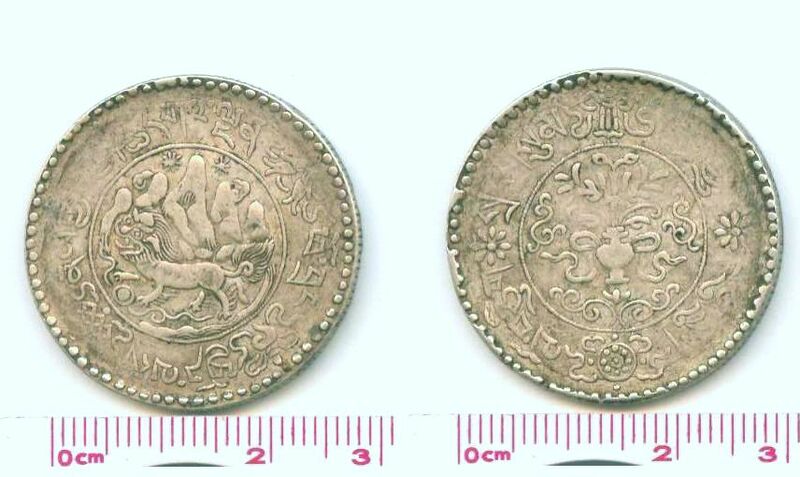 Last Ga-Den Tangka Silver Coin, Strcuk coin in 1953, circulated until 1959. The weight is around 4 grams. 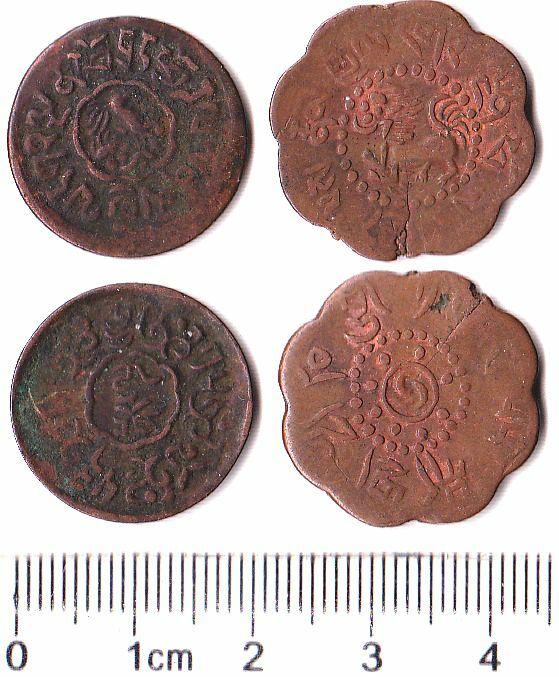 1 Silver Tangka = 1.5 Sho = 15 Skar. Kruase catalogue No. Y#31. 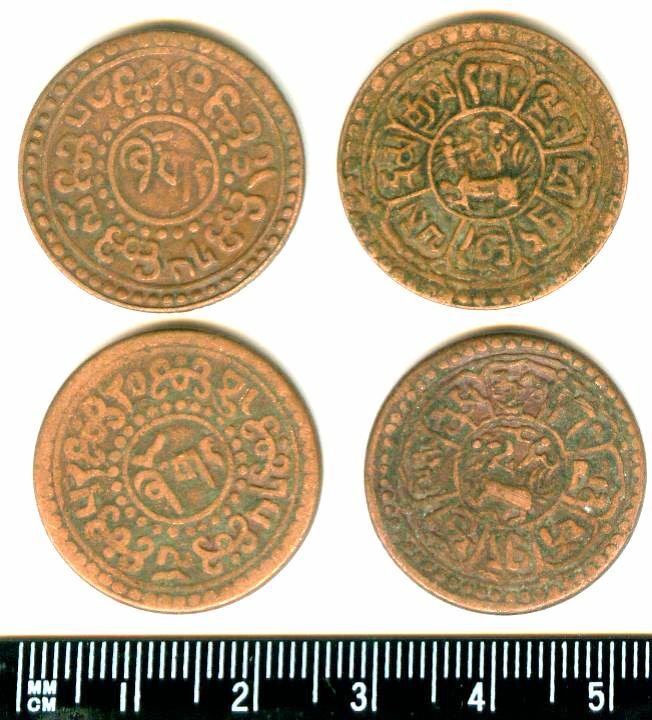 XZ140, Tibetan Copper Coin 5 Skar (1913--1918), Y#17. VF to Fine condition. 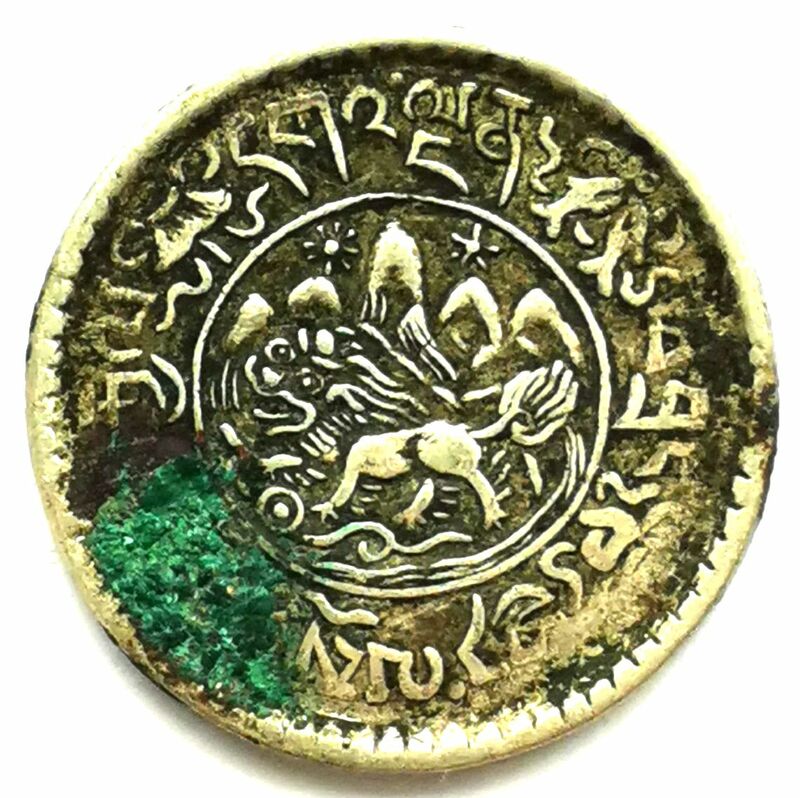 Minted during 1913 to 1918. The face value is 5 Skar. Krause catalogue No. Y#17. Scarce! 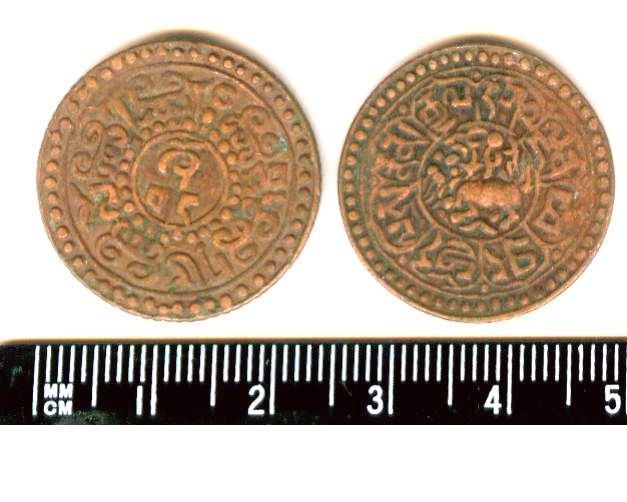 Weight: around 7 grams. Size: around 26 mm in diameter. 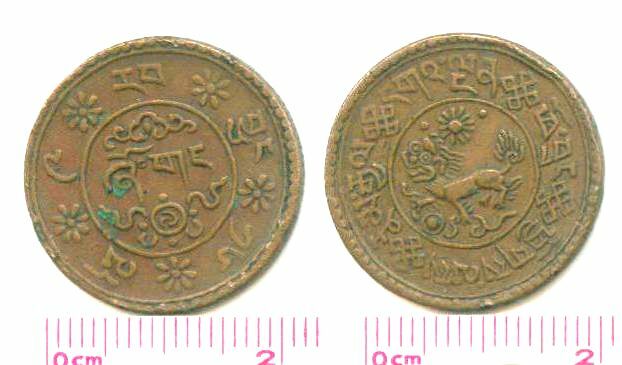 XZ141, Tibetan Copper Coin 5 Skar (1913--1918), Y#17, Fine Condition. Only Fine condition. 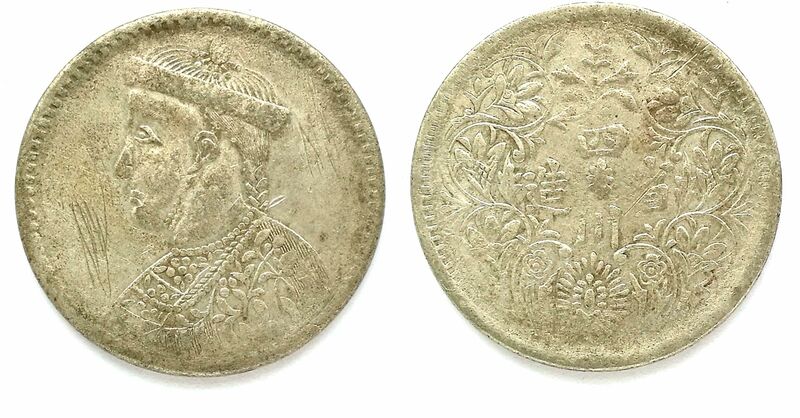 Minted during 1913 to 1918. The face value is 5 Skar. Krause catalogue No. Y#17. 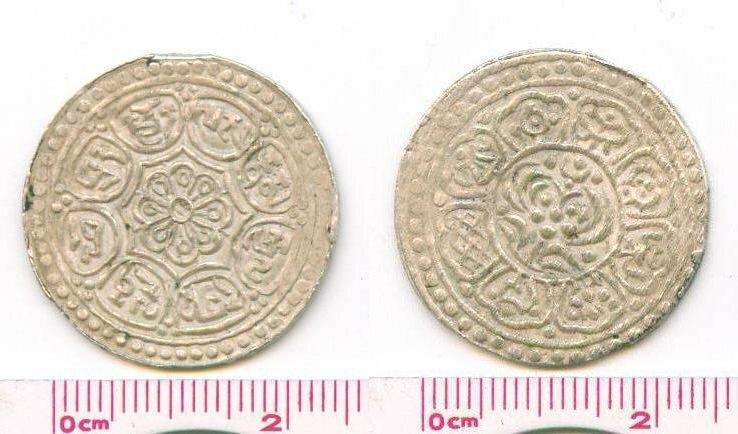 Weight: around 7 grams.Size: around 26 mm in diameter. 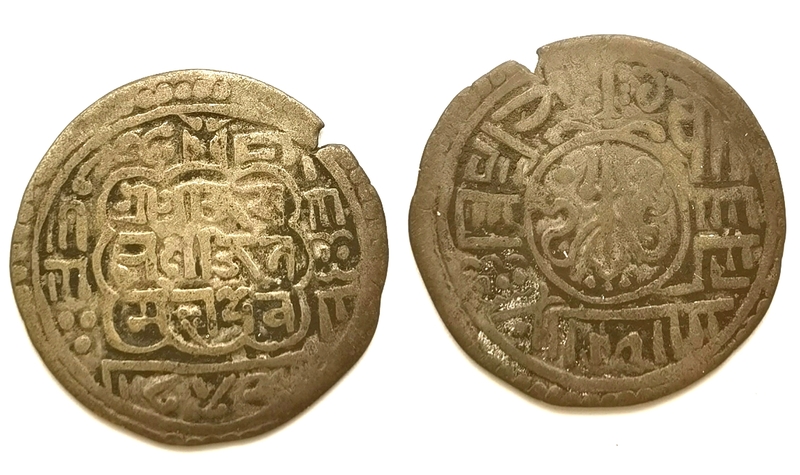 XZ143, Tibetan Coin, 1 Sho (1922 to 1928), Y#21a. The Tibetan language is write from top to bottom. Issued during AD 1922-1928. 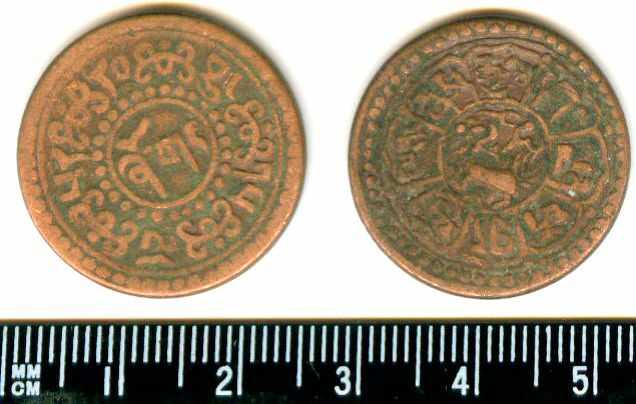 XZ145, Tibetan Copper Coin, 1 Sho Y#23 (1932 to 1942). VF condition. Please refer the picture. 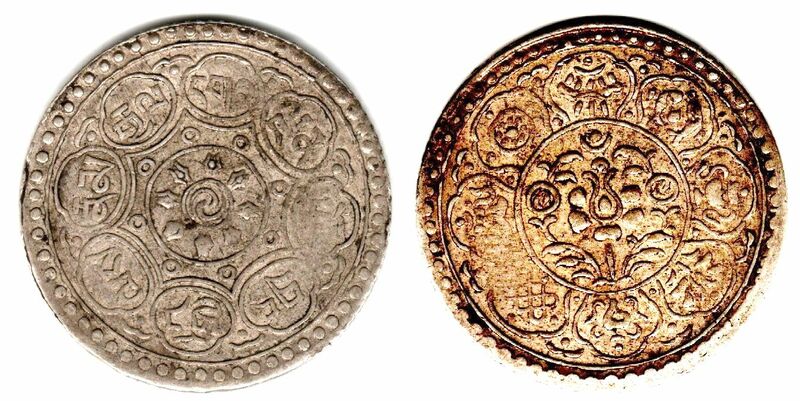 Issued by Tibetan local government during 1932 to 1942. New style, which is different from Y#21. 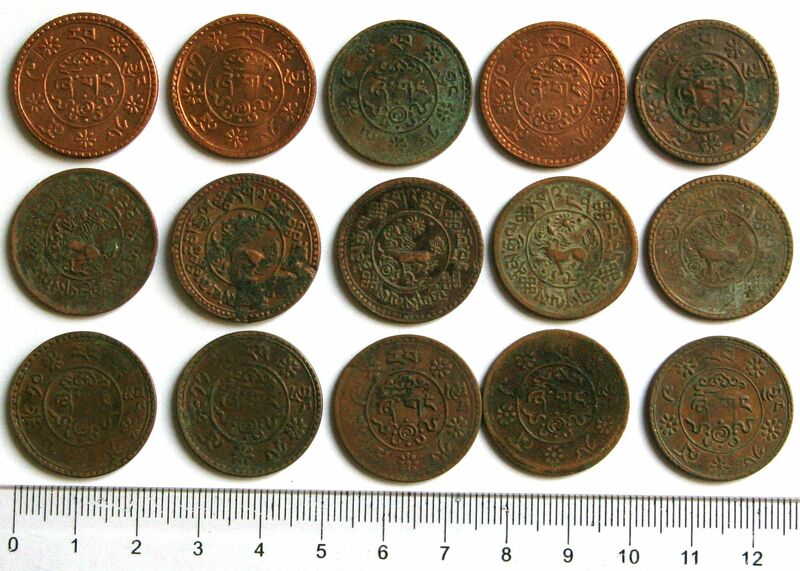 XZ146, Tibetan Copper Coin, 1 Sho (1932 to 1942), 10 Pcs Wholesale. VF condition. Please refer the picture. 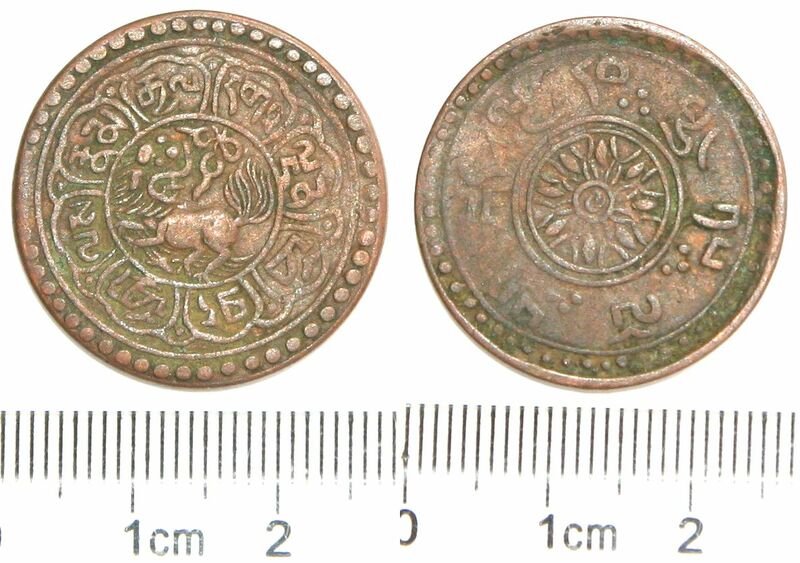 Issued by Tibetan local government during 1932 to 1942. New style, which is different from Y#21. 10 pcs wholesale in this lot. 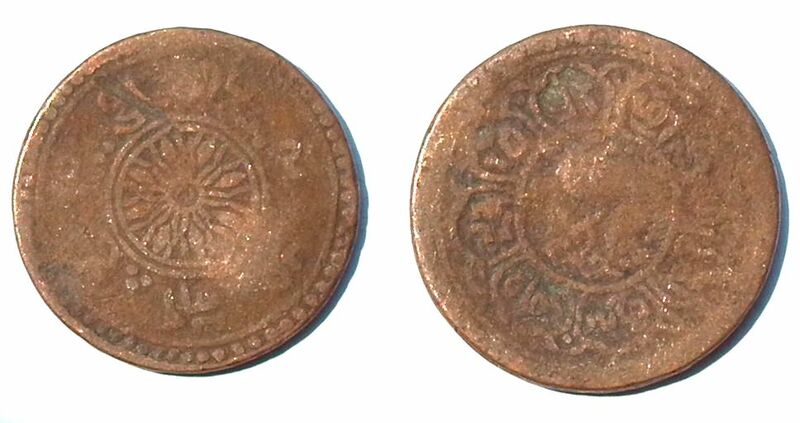 XZ157, Tibetan Coin 1 Sho (1918--1928), Y#21. VF to Fine condition. 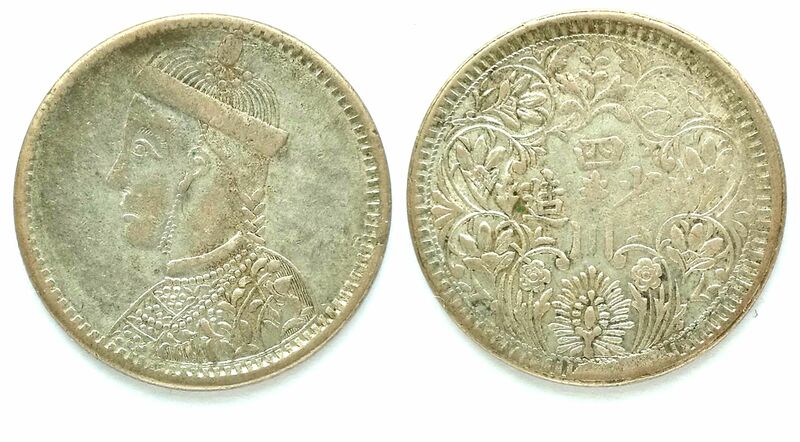 Minted during 1918 to 1928. The face value is 1 Sho. Krause catalogue No. Y#21.